Registration for the 2019/2020 NAYHL season is officially open. All players who will be trying out for our Mite, Squirt, Pee Wee, and Bantam programs will be required to register prior to attending tryouts. Due to scheduling conflicts with the Valley Hockey League playoff schedule, we are changing the second placement night from March 22nd to March 29th. To register, please click here!!! 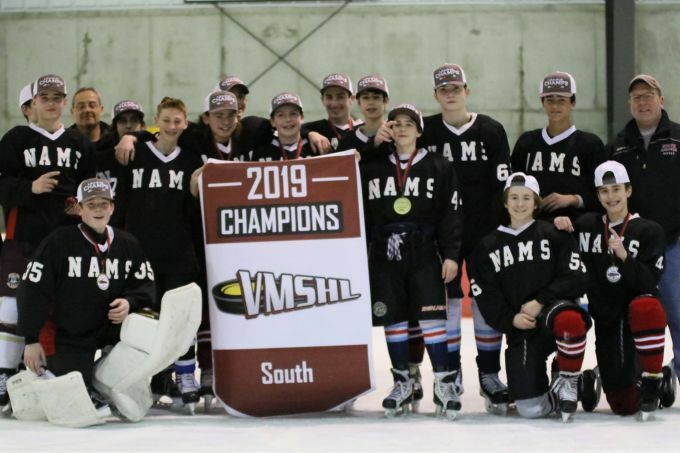 NAMS 8th Grade - VMSHL South Champs! Congratulations to the North Andover Middle School 8th-grade boys team for winning the Valley Middle School Hockey League's South Championship with a 2-1 win over Winthrop!! NAMS Girls Middle School Champs! 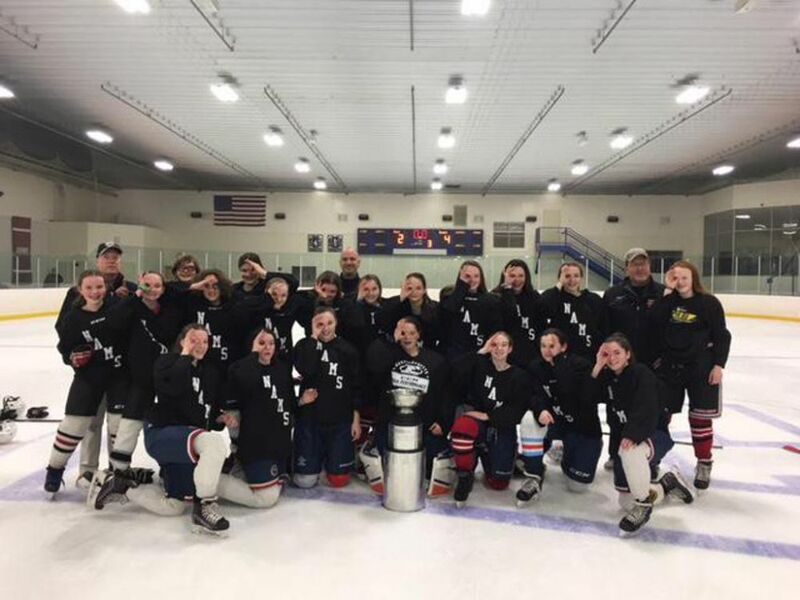 Congratulations to the North Andover Middle School girls team for winning the Martian Middle School Hockey League's Chara Division championship with a 4-2 win over The Sharks! Follow NAYHL on Twitter to get notified when there are updates posted to the website and for other late breaking news!